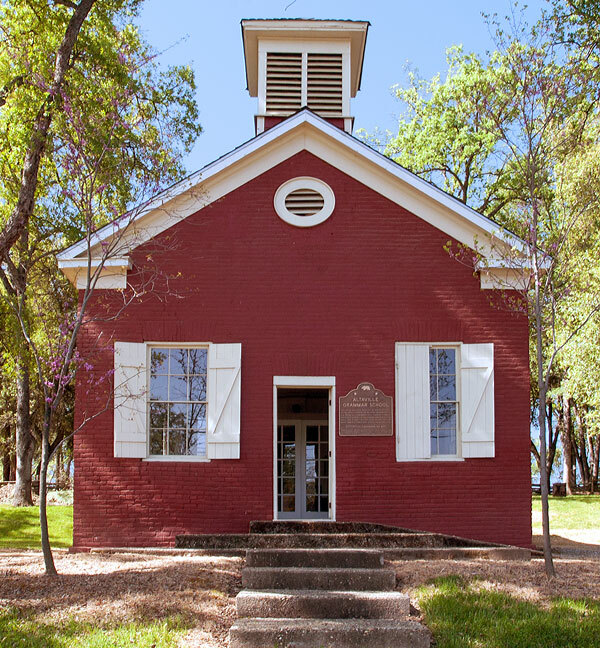 This brick building, erected in 1858 with funds raised by a dance in the billiard saloon of the N. R. Prince Building (which still stands), is one of the oldest schools of California. 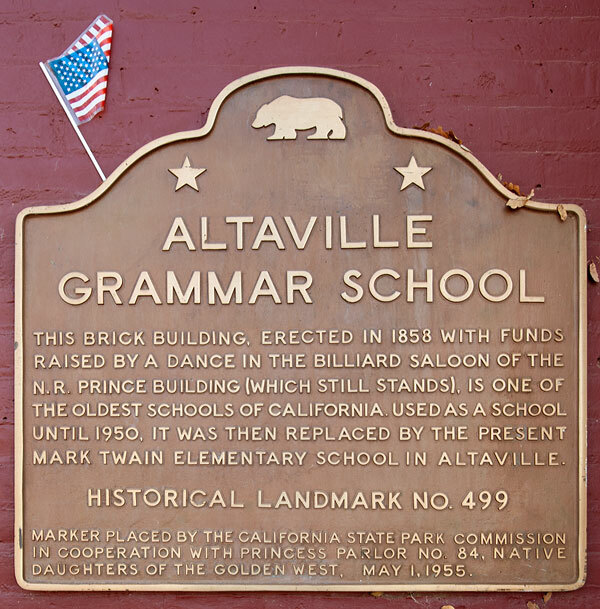 Used as a school until 1950, it was then replaced by the present Mark Twain Elementary School in Altaville. Marker placed by the California State Park Commission in cooperation with Princess Parlor No.84, Native Daughters of the Golden West, May 1, 1955. 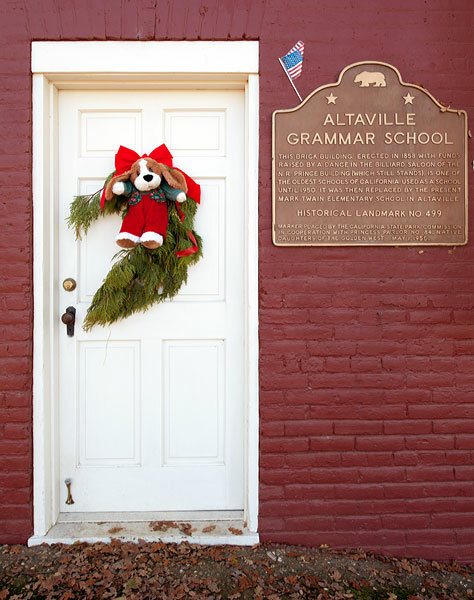 Altaville Grammar School is also listed on the National Register of Historic Places.